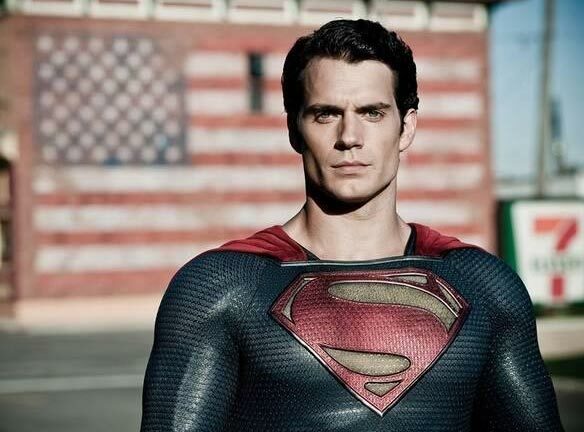 There are many things I like about the newest addition to the Superman film franchise, Man of Steel. It is definitely not like its predecessors, which as expected , will make many people not like this vision of this story. It is not a perfect film. There are flaws in its storytelling, some mis-casting and also overuse of special effect scenes. However, there are also great moments that wind enough through the film, that make it a must see movie. If you are expecting some cheesy , feel good film similar to past Superman movies, this is not it. Go rent the old movies in DVD or Netflix and enjoy them at home. This movie tries to come a little bit closer to the dark dramatic hues of where the DC comics have taken the man of steel story line. It is much richer in its ethos. Henry Cavill is perfectly cast as the Krptonian import to earth who grows up to be its greatest superhero. His path is not an easy one . He has to find his way, discover how he is and his reason for being on earth. The film takes on a Messianic theme throughout as it preps you for this Savior for mankind. The weakest casting , I believe is Amy Adams as Lois Lane. I love Amy Adams as an actress. She is very accomplished. However, I could never buy into her as Lois Lane. She just does not have that edginess that is so identified with that character. If there is a sequel to this movie, I believe that the producers need to think who should play this role. Kevin Costner and Diane Ladd, were spot on as the Kents, who found the Kryptonian child and raised him as their own. Kevin Costner puts in a moving performance as Jonathan Kent. He is believable as a protective dad who loves his son and tries to teach him those qualities that would truly define him as a man and give him the core of the greatness of his superhero-ness. One of the most moving scenes is when Costner, while saving the family dog in a tornado, makes the ultimate sacrifice rather than reveal the true nature of his son. There is a lump in your throat when you realize the extent of a father’s love. Speaking of parents, Russell Crowe and Ayelet Zurer put in great performances as the biological parents of Kal-El aka Clark Kent aka Superman who must send their infant son light years off away to distant Earth as their own planet is destroyed. Here you see their heartbreak and their hopes for their son and his pivotal role to a people far away. Very well done and very poignant. One of the weak points of the movie was the long battle scenes. As audiences we have been saturated with lots of these CG effects in many other movies, but in this movie, running them too long gets in the way of the central message of the movie. Superman was struggling with choosing between his own people and the people of his adopted home earth. He was also struggling with trusting the people of Earth with accepting him. There needed to be better weaving of moments that tied these concepts better into a more emotional impactful conclusive end. It was like we were put on a roller coaster ride and then thrown into a middle of an emotional funeral scene and expected to feel something. Besides that failing, I enjoyed the movie. I love that this franchise has grown up and I look forward to the next installment with hopefully a few lessons learned and a better movie.